Beachway Therapy Center has recently received accreditation through The Joint Commission. The accreditation showcases the high level of service offered at Beachway Therapy Center and their commitment to quality patient care. Florida-based drug and alcohol addiction treatment facility, Beachway Therapy Center has announced it has received Joint Commission Accreditation. The facility’s Joint Commission Accreditation will now act as a foundation for the company to further support their growing number of patients with updated services based on the latest therapy techniques. Beachway Therapy Center has a leading reputation within the Florida addiction treatment industry. The organization’s commitment to care is highlighted within each facet of their work, from their 24-hour operations to their partnerships with trusted local medical, dental and mental health professionals. And now the company’s accreditation through The Joint Commission further showcases Beachway Therapy Center’s commitment to superior client care. The Joint Commission’s Behavioral Health Care Accreditation program, which was formally established in 1969, accredits healthcare organizations and programs for a three-year term. Organizations that are accredited administer treatments to patients with addiction issues, eating disorders, and mental health needs. It’s a program that has helped establish clear guidelines for patient care within the behavioral health industry, and has empowered thousands of organizations to hone their service quality. When an organization makes the commitment to pursue accreditation, it’s placing its program under the watchful eyes of the most distinguished specialists within the health field. It also means that the organization’s staff is committed to reaching patient care and safety standards that often exceed those required by the state legislature. For Beachway Therapy Center, this is a milestone within the organization’s history and a clear indicator of their placement at the forefront of the industry across Florida. The accreditation process involved Joint Commission representatives committing meticulous on-site studies within the Beachway Therapy Center facility, as the facility and staff were evaluated for their performance. The organization’s staff was analyzed on their performance in a range of key areas, including care levels, treatments, environment of care, and screening procedures. The Joint Commission also conducted interviews with on-site personnel as part of the accreditation process. During this on-site analysis, Beachway Therapy Center staff proved their commitment to The Joint Commission standards and showcased their understanding of high-level patient care. This commitment helped move the accreditation process forward to a successful conclusion and ensured Beachway Therapy Center was recognized for their service excellence. In going through the accreditation process, Beachway Therapy Center will now be better equipped to support the needs of its patients in all areas. The accreditation process is an on-going commitment that means The Joint Commission personnel will regularly visit the facility to ensure the company’s staff maintains the highest of standards within their work. Another advantage of The Joint Commission’s accreditation is that staff will be given access to online tools that help monitor team performance and encourage responsive and engaging training processes within the facility. Beachway Therapy Center is now inviting patients to explore the benefits that come from working within a Joint Commission accredited organization. The organization’s team is available now to discuss treatment options and outline their full range of services. To learn more about the company and its services, please contact the facility today at (877) 284-0353 or visit their business website directly at http://www.beachway.com. The Beachway Therapy Center has become one of the leading specialists for addiction treatment in Florida, during its many years in the health industry. The organization’s services combine family, individual, and group therapy programs to help drive addiction recovery and help individuals explore their own paths to spiritual, emotional, physical, and mental healing. Because their therapists devise unique treatment strategies for each individual patient, they’re able to achieve fully customized treatment programs that are aimed at meeting each patient’s personal health needs. To discover more on their programs, please visit http://www.beachway.com. As an independent, non-profit organization, The Joint Commission accredits and certifies almost 21,000 organizations and programs throughout the United States. The Joint Commission’s accreditation process is recognized across the healthcare field as an indicator of quality, which then showcases the organization’s commitment to meeting the highest of standards within their work. 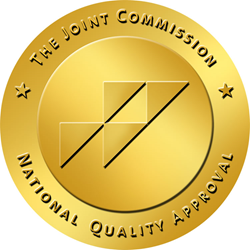 The Joint Commission’s accreditation awards can be earned by a broad range of healthcare organizations, including doctor’s offices, office-based surgery centers, nursing homes and others. To learn more on The Joint Commission and their accreditation process, please visit http://www.jointcommission.org.